The WhatsApp cofounder previously asked Facebook users to delete their accounts after the Cambridge Analytica scandal in 2018. 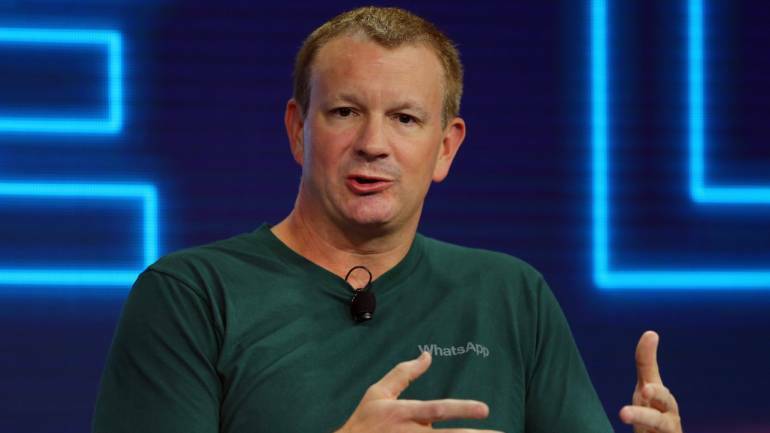 WhatsApp cofounder, who quit the company last year, Brian Acton renewed his call to Facebook users to delete their accounts. Acton expressed his thoughts about the social media network while addressing a group of students at Stanford University on March 13. "To be brutally honest, the curated networks — the open networks — struggle to decide what's hate speech and what's not hate speech...Apple struggles to decide what's a good app and what's a bad app. Google struggles with what's a good website and what's a bad website. These companies are not equipped to make these decisions." Acton told students at Stanford University. "And we give them the power," he continued. "That's the bad part. We buy their products. We sign up for these websites. Delete Facebook, right?" Acton also spoke about the reasons behind selling WhatsApp to Facebook in 2014. "You go back to this Silicon Valley culture and people say, 'Well, could you have not sold?' and the answer is no," Acton said, as quoted by Buzzfeed News. "I had 50 employees, and I had to think about them and the money they would make from this sale. I had to think about our investors and I had to think about my minority stake. I didn’t have the full clout to say no if I wanted to," he added. Jan Koum and Brian Acton founded WhatsApp in 2009, selling to Facebook in 2014 for $19 billion. Acton quit the Facebook-owned messaging service in 2017 over a dispute on monetisation of WhatsApp services. Koum, too, quit WhatsApp early in 2018.